Maui County announced that its pilot "3 Can Plan" curbside recycling project in Kihei will end Feb. 1 after a 2year run. "Although the plan did improve recycling, the county found that the cost of providing curbside three-can equipment, processing and administration is more than four times the cost of conventional disposal," according to a letter issued over the weekend to the 1,750 Kihei residences that participated in the pilot program. The letter also added that because there are no local or domestic markets to process mixed recyclables, the materials collected from the curbside recycling program were shipped to Asia for processing, "which incurs significant financial costs in addition to the environmental effects of shipping such materials several thousand miles for processing." The "3 Can Plan" began August 2012, shortly after the county issued two additional 96-gallon wheeled bins to two refuse routes in South Maui - one in the Maui Meadows subdivision and another along South Kihei Road. A blue bin was issued for mixed recyclables such as cardboard, paper, select plastics, metal food cans and aluminum products. A green bin was issued for tree trimmings and other organic matter. Residences that participated in the program had their twice-a-week trash pickup schedule altered to once-a-week general trash pickup and once-a-week recyclable pickup. Twice-a-week general trash pickup (brown bins) will resume in February, and the county will collect the blue and green bins from the residences shortly after, the letter said. Maui County Environmental Management Director Kyle Ginoza said that the recycling program costs the county money that could be better spent maintaining critical, core services. "The money we use to send those recyclables to the Far East or China is monies we could be using for refuse collection or landfilling," Ginoza said. He added that when the county first considered curbside recycling in 2009, it had anticipated generating revenue of about $50 per ton. However, nearly 20 percent of all the recyclables received is contaminated and unusable, Ginoza said. The county pays Maui Disposal $130 per ton to sort, process and ship the materials to Oahu, then the West Coast and finally the Far East. And, each 96-gallon bin costs $80. "It's already an expensive program, it's not what we had anticipated," Ginoza said. "We're at that point now of do we kill it or do we invest and expand it . . . and it's going to cost the taxpayers more to expand it." The letter states that expansion of the curbside service would cost the county up to $1.8 million annually, and only provide a 3.3 percent landfill diversion. On the other hand, the county has already contracted Anaergia Services to build a waste conversion facility at the Central Maui Landfill by 2017. The future Maui Resource Recovery Facility promises to boost the county's landfill diversion up from 43 percent to about 85 percent. Ginoza said his department's priority is to provide residents with "core services," which include wastewater services and solid waste management services like refuse collection and landfilling. The core services do not include diversion or recycling programs, such as curbside recycling. 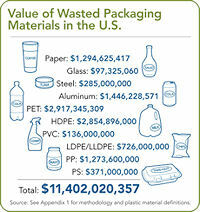 "Sure, if we had all the money in the world, we'd pursue a lot of these (recycling) programs. But when people work two or three jobs, they're not looking for the Cadillac of services. They want core services done well," Ginoza said. He added that the department has not been able to get "funding for needed expansions for core services." In budget deliberations earlier this year, the Maui County Council approved two of six expansion positions requested by the department. The council's Budget and Finance Committee Chairman Mike White asserts that the council approved 99 percent of what the department had requested in its $30 million budget proposal. Maui Meadows resident Madge Schaefer said the 3 Can Plan had helped her household recycle more, and she's sad to see it go. "It was easy to do," Schaefer said. "I did notice that over the course of this experiment, those (blue and green) cans were out in front of every house." She said that the new trash pickup schedule took some getting used to at the beginning, but "it was a good thing once it got sorted out." The residences that participated in the county's pilot program were not charged any extra costs for curbside recycling. "We're encouraged to recycle all over the place and they have a program that works and now they say, 'We're not doing it anymore,' '' Schaefer said. She said that after February, she will likely revert back to bringing her sorted recyclables to the Kihei Residential Dropbox Center on Welakahao Road, as she had done before the curbside program. Residents also may drop off sorted recyclables to the Central Maui Landfill in Puunene, free of charge. Residents who wish to continue curbside recycling may opt to subscribe to Maui Recycling Service, a private provider that offers curbside recycling pickup at rates starting at $30.40 per month. The private service accepts glass, some aluminum, plastic bottles, newspaper, office paper, magazines, phonebooks, cardboard, household batteries, inkjet cartridges, small electronics, cellphones and used household cooking oil, according to the company's website. For more information about the private service, visit mauirecycles.com. For more information about the county's 3 Can Plan, call the Department of Environmental Management at 270-8230. © Copyright 2014 The Maui News. All rights reserved. This material may not be published, broadcast, rewritten or redistributed.